A few months ago I was fortunate enough to be able to attend a Women and Whiskey event hosted at Olive and Ivy by Glenfiddich. That was when I met Glenfiddich brand ambassador, Jennifer Wren. Not having any idea what to expect from this event, I found Jennifer to not only be poised, knowledgeable, and well spoken but she was also funny and it felt like you were being taught about scotch whisky by a close friend. Not only did I learn a ton at this event about Glenfiddich and scotch as a whole but I gained a respect for Jennifer, who is not only a brand ambassador but really an ambassador for whisky culture as a whole. After spending just 5 minutes talking with her when the event concluded, I knew I wanted to share her thoughts with our readers. Can you tell us a bit about the history of Glenfiddich? William Grant, along with his wife Elizabeth and his oldest son, John, founded Glenfiddich Distillery in 1886 just outside the little town of Dufftown where William Grant was born. The land on which the distillery sits is the Valley of the Deer (Glen = valley, Fiddich = deer) next to the River Fiddich in the Speyside Region. William and his family, literally, built the distillery by hand from granite stones pulled from the River. The distillery was completed in 1 year and the first drop of Glenfiddich ran from the stills on Christmas Day 1887. Each of the family members continued to work at or support the distillery. Over 100 years later, Glenfiddich is still owned and guided by the 5th generation of the Grant family, something we take great pride in. How did you get started as a brand ambassador with Glenfiddich? I was working as an actress in New York City and, like most actors, needed a “side gig” to survive. I began working in wine and spirits as a part-time ambassador in 2006. After several years, I realized I was having way more fun talking about whisky than I was going to auditions. I loved the people who populated the whisky world, the energy of whisky shows, and how incredibly diverse the spirit can be. In 2014, I decided to quit performing and go into spirits full-time. That fall, I heard through the grapevine that William Grant & Sons was searching for some new ambassadors, so I reached out. It turned out that Glenfiddich was looking and I met the brand manager and just adored him and his vision for Glenfiddich. I certainly hoped, but I had no idea, that [I] would be lucky enough to land, not only my dream job, but an ambassadorship for a whisky that is so incredibly loved at a company that is internationally respected. It was like winning the whisky lottery! In your Women and Whiskey class you mentioned being 1 of 3 women Glenfiddich brand ambassadors, do you see more growth for women in the whiskey industry and what do you think the future holds for women in the industry? […]I am one of three female Glenfiddich ambassadors (including Beth Havers in Canada who just won Whisky Ambassador of the Year for Icons of Whisky/Whisky Magazine and Rachel Ah-Young Rim in South Korea who was hired the same time I was and traineded with me at the distillery). 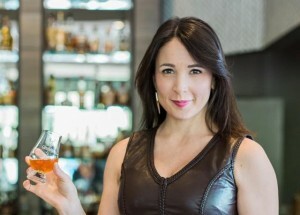 In the industry as a whole, there are numerous women in all sorts of ambassador, distillery, and leadership positions. I am proud to call so many of them my friends and “whisky sisters.” Additionally, the country is blossoming with female-centric whisky groups and clubs and I have the pleasure of speaking to many of them on a regular basis. But, like any industry, women in spirits still suffer from the same challenges and glass ceilings like lower pay, struggle to advance their careers, and casual gender bias. I am seeing change, though – vast change. 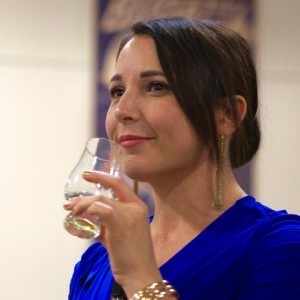 I am hoping that with the immense number of women who have recently become whisky enthusiasts and the women who are seeking careers in distillation, that the spirits industry will not only continue to welcome women as influencers, but will become a beacon industry illustrating how obviously important gender equality can be to corporate success. Also, women who work in whisky are not known for being “shrinking violets,” my colleagues are leaders in every sense of the word. They are ready to initiate change. What makes Glenfiddich stand out from other Scotch whiskies? What doesn’t? Ha ha! Glenfiddich is not only, very deservedly, the World’s Most Awarded Scottish Single Malt, but quite honestly, it’s just so drinkable. It is a single malt of unique depth, flavor, and surprising lightness. It is a whisky the welcomes the new Scotch drinker to the table, but that Scotch connoisseurs keep coming back to again and again as a pillar of fine Scotch making. Additionally, our expressions are entirely unique to each other. It’s not a situation of old, older, oldest but a collection of incredible adventures in maturation refined by our Master Blender, Brian Kinsman. Our Glenfiddich 14 Year Old Bourbon Barrel Reserve, which is bourbony and rich, is an entirely different drinking experience than our 18 Year Old Small Batch, which is sherry sweet with tannic complexity. I think this encourages whisky drinkers to explore our range in ways that other whiskies may not offer. Do you have a favorite cocktail that utilizes Glenfiddich? My MOST favorite cocktail is a Boulevardier with a Glenfiddich 14 as a substitution for the traditional bourbon. It creates a more refined cocktail with less heat, but exceptional complexity. Can you recommend any food pairings? Well, I did just do a chocolate event. Who doesn’t love whisky and chocolate? We paired Glenfiddich 14 Year Old with 60% dark chocolate, Glenfiddich 15 Year Old with white chocolate, and Glenfiddich 18 Year Old with a fudge piece laced with marshmallow and cranberry. It was to die for! I also highly recommend a coursing of the light and lovely Glenfiddich 12 Year Old with a fresh app course like a mixed salad, the complex Glenfiddich 18 Year Old with a rich meat course like lamb or sirloin, and Glenfiddich 21 Gran Reserva with a chocolate or cream dessert. That sounds like a pretty perfect evening to me. Can you briefly explain the some of the science behind distilling and how Glenfiddich? Well, there are six basic steps to making a whisky: grain, malting, mashing, fermentation, distillation, and maturation. The aspects that set us apart, that shape our distillery character are a longer fermentation time which helps to create fruiter esters, the reflux shape of our stills which encourages only the lightest most delectable vapors to make it up the line arm further encouraging the delicate fruitiness, and, of course, the incredible care of our barrels enabled by our dedicated on-site cooperage that makes sure every piece of wood that touches our whisky is of the utmost quality. Each of these elements make Glenfiddich singularly unique and absolutely divine. I’m a neat woman, but I will never ever tell anyone how to enjoy their whisky or shame them for their choice. Do you enjoy scotch from other regions? If yes, which regions or brands do you like? Absolutely! I am huge fan of Japanese blends, they are fabulous and I keep going back to them again and again. Unfortunately, due to demand, many of them are very hard to find. I also love so many American bourbons and ryes. The Americans lead the pack on “whiskies with big opinions” that just attack the palate in surprising ways. What would you tell someone who might be intimidated by scotch? Well, I always say there is a whisky out there for everyone. Scotch has this bad reputation for being “medicinal” or “too complex” or “all smoky.” None of which is truth. Look at Glenfiddich, it’s easily enjoyed and very approachable. There are as many expressions of Scotch as there are rocks in Scotland, you just have to find the right one. I encourage people who are curious to go out to bars, especially ones that offer whisky flights, and try a dram of this, a dram of that. Ask questions, be curious and don’t be afraid to look stupid. I mean, I tried Scotch and it changed my life! We would like to thank Jennifer for taking the time out of her busy schedule (and boy howdy is this gal busy, just follow her on Instagram or Twitter to see all of her amazing adventures!) to answer our questions. It was well worth the wait and we are so excited to share her stories and insight with you, our readers!